To take advantage of this special offer, you’ll need to complete a verification form. After receiving your verification number, you’ll be able to save money on your Ford purchase! First Responders: Apply for Financing Today! 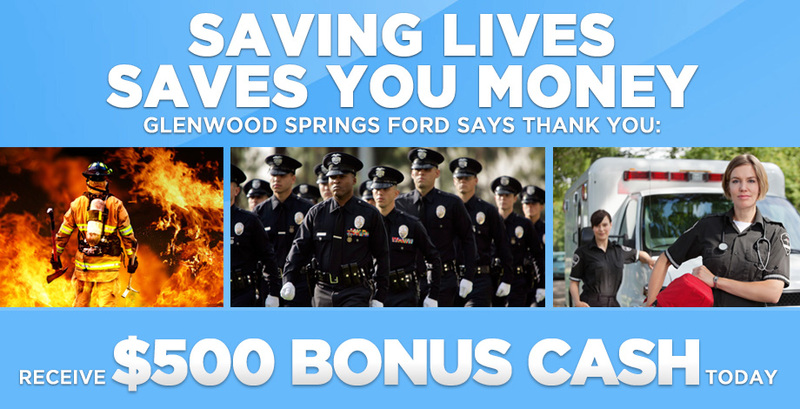 In addition to the Ford First Responders program, Glenwood Springs Ford offers great financing options . Apply for financing today and shop for your favorite Ford 4×4 vehicle with Ford Sync . With a great parts warranty and a dedicated customer service team, we’re here to bring you the right vehicle at the best possible price.